mouthful. With my dearest friend and brother from another mother, Zeren Wilson of www.bittenandwritten.com and a self confessed Kebab aficionado as he likes to put it, we’ve jumped on a rickshaw with the very modern British Indian Mr Rohit Chugh to create something quite marvellous. On Sunday 15th June at Roti Chai restaurant, Portman Mews South, London W1, you will find me battling it out with the thoroughly uber head chef, Karan and his team in their kitchen to create a uniquely modern Turkish and Indian adaptation of Kebab configuration. 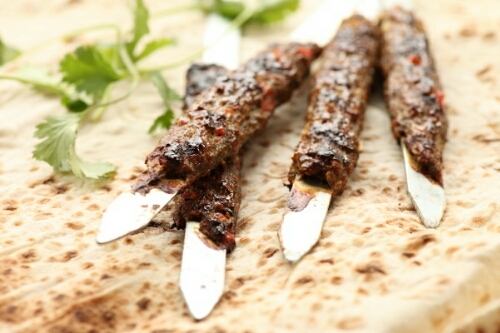 The menu will feature succulent pieces of Adana kebab nestling up close with Roti’s own Seekh kebab. A signature Turkish style quail Scotch egg based on the classic Içli Köfte. Duck haleem and more besides. To finish Kulfi ice cream cosies up to a sweet, heavenly Turkish offering and there might even be a little hint of Turkish delight! To book contact infowalla@rotichai.com or drop me a line.